Saturday night is traditionally the open mic night at Chicken Star. The evening is hosted by Ruslan Aidarov but concept has evolved over time. Now it’s more music oriented. 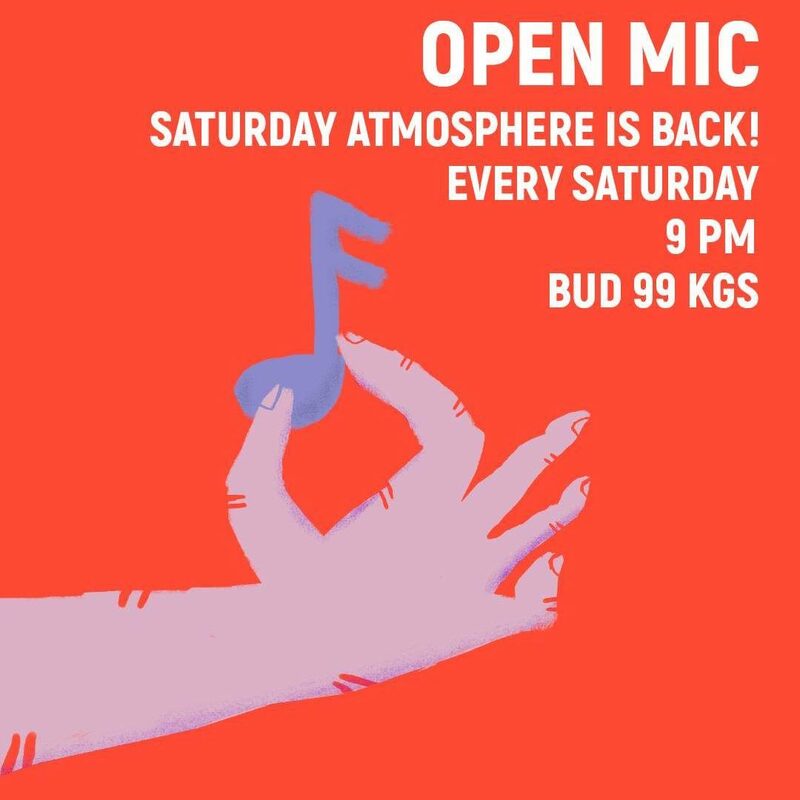 The slogan of he Open Mic night in Bishkek is “Saturday Open Mic Atmosphere is back!”. An open mic or open mike (derived from the expression “open microphone”) is a live show at a [Chicken Star] where audience members who are amateur performers or professionals who want to try out new material or plug an upcoming show are given the opportunity to perform onstage. Typically, as the name suggests, the performer is provided with a microphone which is plugged into a PA system, to make the individual’s performance loud enough for the audience to hear. Saturday night at Chicken Star is the place for you to shine and collect stage experience. During open mic night the stage microphone is open to everyone with an ambition or talent. You can present a song or play an instrument. The Open Mic Night is all about music and those who want to put their talent to the test. Chicken Star opens its stage to young local talents of Bishkek or an artistic expats. You are free to share your favorite melody or song. If you are a singer without a band, don’t worry. Someone will be willing to accompany you for your song. Just ask the moderator to match you up. But performing on stage is optional. You can just join the crowd and support the artist courages enough to find their way on the stage. The Open Mic Performances mainly present songs in Russian or English, but there are not rules about that. The great food at Chicken Star and the ambience, makes this a great Saturday event for a casual entertainment night out. Present a song or play an instrument at Saturday open mic night at Chicken Star.